Top Rated Local® is pleased to announce that Hood Herring Architecture PLLP is a 2019 award winner for architects in North Carolina! If you’re looking for a residential architecture firm in Wilmington who can bring your vision into reality, look no further than Hood Herring Architecture. Hood Herring Architecture has received dozens of reviews on multiple verified sites with an average rating of 5.00 stars, earning them a phenomenal Rating Score™ of 94.00 and a 2019 Top Rated Local award for ranking among the top 10 architects in all of North Carolina! 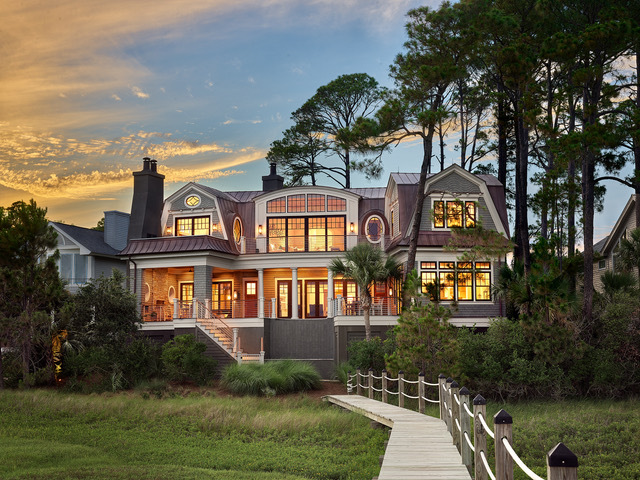 “We worked with Hood Herring Architecture to help us design our custom waterfront home. We came to the table with lots and lots of ideas, and Tilghman Herring worked with us to incorporate our ideas into an amazing house design. Tilghman easily gets an overall understanding of his clients’ vision and then adds his own creative ideas, helpful advice and expertise to the project. We are thrilled with the functionality of our floor plan and the exterior presentation of our home. 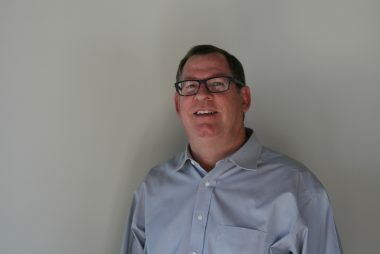 We highly recommend Tilghman.” – Beth and Rick S.
Tilghman Herring, Partner and owner of Hood Herring Architecture, generously gave us a few minutes of his time to tell us about his award-winning business and its outstanding online reputation. Tilghman went on to tell us that Hood Herring Architecture has been in a partnership for about 33 years. Outside of building a powerful online reputation, Hood Herring Architecture has spread the word about who they are and what they do through their website and social media presence, which are run by Tilghman’s daughter. Congratulations to the team at Hood Herring Architecture PLLP for being a 2019 Top Rated Local award winner, and thank you so much, Tilghman, for taking the time to speak with us! We highly recommend Hood Herring Architecture PLLP in Wilmington. Visit their website today! 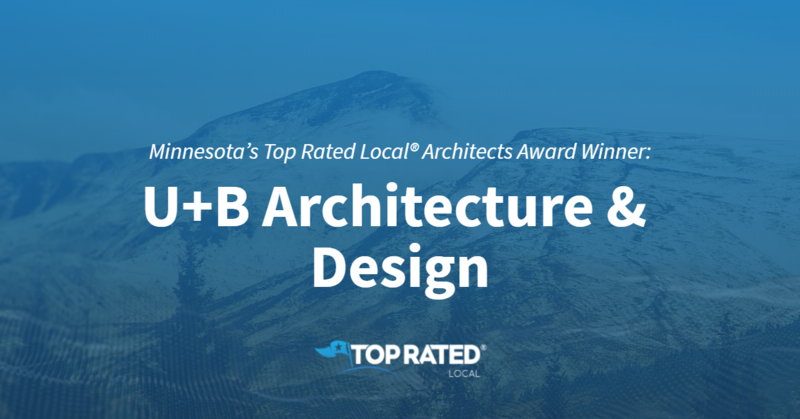 Top Rated Local® is pleased to announce that U+B Architecture & Design is the number one architect in Minnesota for 2019! 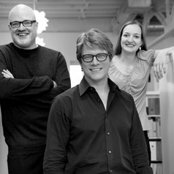 If you’re looking for the right architecture firm to work with in Minneapolis, look no further than U+B Architecture & Design. U+B Architecture & Design has received dozens of reviews on four verified sites with an average rating of 5.00 stars, earning them a fantastic Rating Score™ of 98.00 and a 2019 Top Rated Local award for being ranked the number one architect in all of Minnesota! 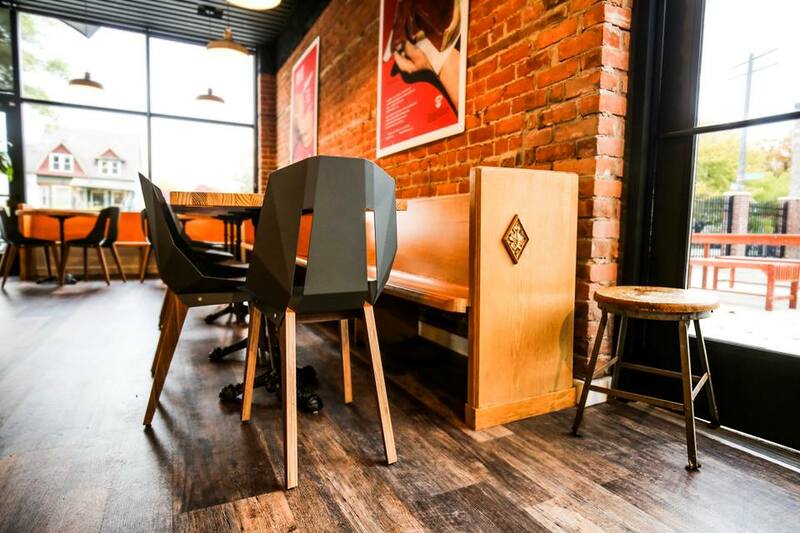 “U+B was amazing throughout our remodeling project! They completely got what we want to achieve with the look of our new house. They were conscious of our budget and did what they could to help us save money wherever possible. They were there sorting out every small detail right through to the end and long after the project was finished as well. They were professional, courteous and efficient, and I would not hesitate to recommend their architectural services to anyone in the future.” – Nikki G.
In order to learn a little more about U+B Architecture & Design and their outstanding online reputation, we took a few minutes to talk with Edie Sebesta, Principal at U+B. Edie went on to tell us about how U+B Architecture & Design was founded by Paul Udris and Mark Burgess in 2003, and that they are an architecture firm that handles a variety of institutional, educational, corporate and residential projects. When asked about the U+B Architecture & Design secret to a strong online reputation, Edie told us that their clients are so excited by their experience and how good it was that they are excited to give them references when they ask. Outside of building a powerful online reputation, U+B Architecture + Design has gotten most of their business from repeat clients and word of mouth, and they haven’t had to do a lot to market the business. Congratulations to the team at U+B Architecture & Design for being a 2019 Top Rated Local award winner, and thank you so much, Edie, for taking the time to speak with us! We highly recommend U+B Architecture & Design in Minneapolis. Visit their website today! Top Rated Local® is pleased to announce that ROSSETTI is an award winner for architects in 2019. If you are looking for an innovative architect, look no further than this award-winning company! ROSSETTI has received many overwhelmingly positive reviews across multiple verified sites with an average rating of 4.82 stars, earning them an impressive Rating Score™ of 85.70 and a 2019 Top Rated Local award for ranking as one of the top 10 architects in Michigan! It is because of excellent reviews like this that ROSSETTI is now able to call themselves a Top Rated Local award winner! We were excited to learn all about how ROSSETTI has been able to build such an impressive reputation, so we sat down with the Marketing Director, Denise. The first thing we wanted to know was what it is that makes ROSSETTI stand apart from their local competitors. Denise tells us that their focus is on the owner’s business goals and on designing experiences that generate value. They are also working to make projects that are sustainable. 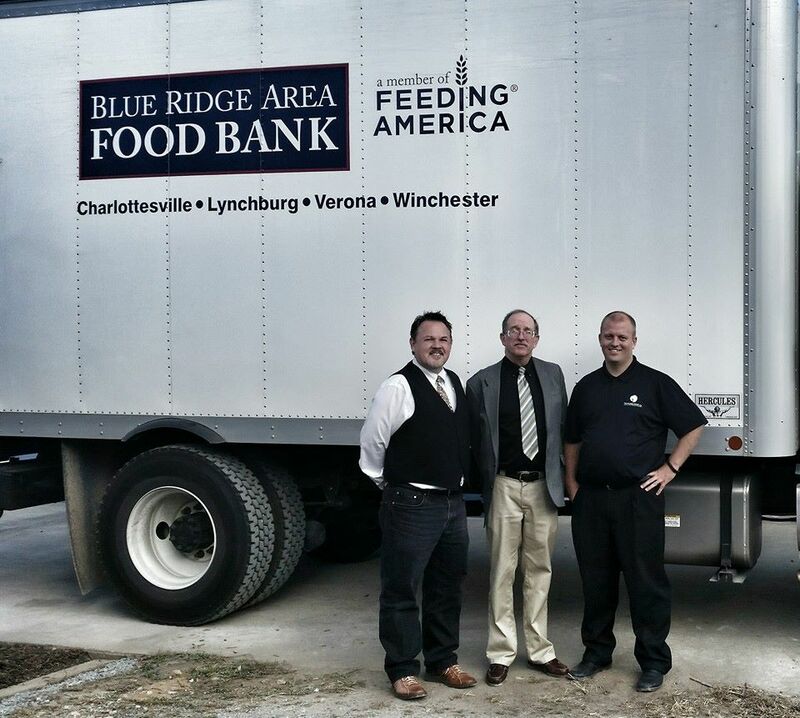 It is their hope to be able to give back to the community. ROSSETTI also boasts an impressive interior design department that has signage and branding capabilities. To accomplish this, they work together with local artists and engineers. ROSSETTI has certainly managed to build an impressive online reputation. Denise shared with us that they invest a lot of time into their social media presence and online media production. This company has thrived for 50 years and says that word of mouth has still been their top source for new clients. Congratulations to ROSSETTI for being a 2019 Top Rated Local award winner, and special thanks to Denise for taking the time to speak with us! Top Rated Local® is pleased to announce that SKD Architects is an award-winning architecture firm in Minnesota for 2019! Are you looking for the right architecture firm to work with in Plymouth? If so, look no further than SKD Architects. SKD Architects has received dozens of reviews with a perfect rating average of 5.00 stars, earning them a spectacular Rating Score™ of 93.00 and a 2019 Top Rated Local award for ranking among the top 10 architecture firms in all of Minnesota! “We have been in our SKD home for over 20 years. At the time, we spent a significant amount of time selecting the right architect. Only Steve and team had great working floors plans that actually worked well for the flow of the home. Our first session was more about how the house is supposed to feel like, what design details we liked and so on. We were very pleasantly surprised when we viewed the first drawing of the house — only two minor changes, that’s it. I had looked at some 70 homes before, and nothing had been right. If you want a well thought out home that fits you and your lifestyle, SKD is the company to hire. We would, without hesitation, get his team on board for a new home. You can always tell when you are in an SKD home. Why? They are just more special.” – M.N. Steve Kleineman, President of SKD Architects, generously gave us a few minutes of his time to tell us a little bit about his award-winning business and how they managed to build such an impressive online reputation. Congratulations to the team at SKD Architects for being a 2019 Top Rated Local award winner, and thank you so much, Steve, for taking the time to speak with us! For all of your architectural needs, we highly recommend working with SKD Architects. Visit their website today! Top Rated Local® is pleased to announce that Virtuoso Design + Build is an award winner for architects in 2019. For all of your architectural needs in Detroit, Michigan, look no further than Virtuoso Design + Build! Virtuoso Design + Build has received many overwhelmingly positive reviews across a variety of verified sites with an average rating of 4.84 stars, earning them an impressive Rating Score™ of 89.44 and a 2019 Top Rated Local award for ranking as one of the top 10 architects in Michigan! “Amazing work! Virtuoso did major woodwork on our 1880s condo and now our 1918 home. Everything is so high-quality and beautiful. [This is] restoration on a whole new level! I never thought I’d be showing people pictures of a door like it’s my first-born! Thank you!” – Hillary B. It is because of excellent reviews like this that Virtuoso Design + Build is now able to call themselves a Top Rated Local award winner! We were excited to learn all about how Virtuoso Design + Build has been able to build such an impressive reputation, so we sat down with the director, Miranda Day. The first thing we wanted to know was what it is that makes Virtuoso Design + Build stand apart from their local competitors. For Miranda, it comes down to the fact that Virtuoso Design + Build is full-service. They take care of the drawings as well as the expertise. They stay true to their mission of making sure the clients are taken care of step-by-step. In addition to having amazing online reviews, Virtuoso Design + Build has utilized Instagram to help to market their business. Miranda says their social media presence, in particular, Instagram, has been able to drive significant business for them. Outside of building a powerful online reputation, Miranda says that building a social network with other small businesses and competitors has been valuable to her company. Congratulations to Virtuoso Design + Build for being a 2019 Top Rated Local award winner, and special thanks to Miranda for taking the time to speak with us! Top Rated Local® is pleased to announce that Christopher Rose Architects, is an award winner for architects in 2019. If you are looking for an architecture firm that will pay attention to your needs and who understands the local environment, look no further than this award-winning company! Christopher Rose Architects has received dozens of overwhelmingly positive reviews across a variety of verified sites with an average rating of 4.81 stars, earning them an impressive Rating Score™ of 92.09 and a 2019 Top Rated Local award for ranking in the top ten architects in South Carolina! 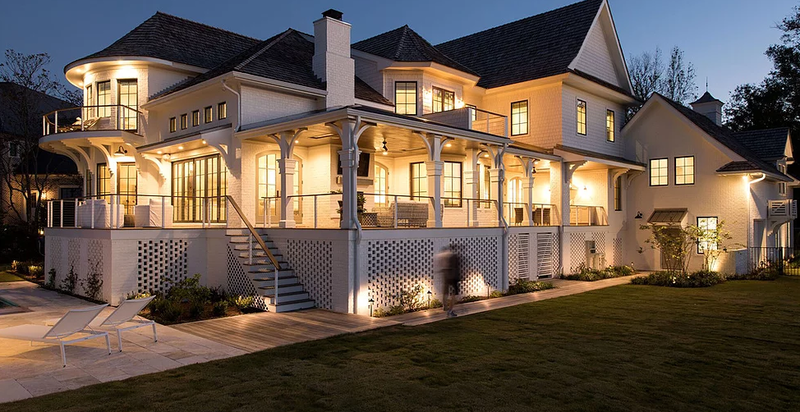 With years of experience and a team who has spent extensive time working together, Christopher Rose Architects operates with a design philosophy that is deeply entrenched in South Carolina’s architectural history and dynamic climatic landscape. Their approach to architecture operates with a rich awareness of regional traditions coupled with ever-evolving technologies to produce homes with a lasting, distinct appeal. Christopher Rose Architects prides themselves on having a deep understanding of how to work in a difficult local environment. When you’re dealing with humidity, earthquakes, hurricanes, and flooding, you want to be confident that you are working with a team that understands these environmental hazards. “We like to go through the same process with every client, paying personal attention to the needs of each client, always making each project special”. Quality of product and paying attention to the requests of the client are very important to this company, and the reviews speak for themselves here. Christopher Rose Architects has clients who feel confident and excited about how Christopher Rose Architects has improved their spaces. 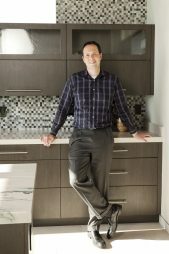 Congratulations to Christopher Rose Architects for being a 2019 Top Rated Local award winner, and special thanks to Christopher for taking the time to speak with us! Top Rated Local® is pleased to announce that Aric Gitomer Architect LLC is a 2019 award winner for architects in New Jersey! When you need architectural expertise in Morris, Sussex or Essex County, you need Aric Gitomer Architect LLC. Aric Gitomer Architect LLC has received dozens of reviews with an average rating of 5.00 stars, earning them an incredible Rating Score™ of 93.00 and a 2019 Top Rated Local award for ranking among the top 10 architects in all of New Jersey! “We are renovating our kitchen and bumping it out a few feet. Ric was absolutely great to work with. He is extremely professional, knowledgeable and a pleasure to work with. He responded quickly to my initial call and met with me the next day. We had drawings within a week, and Ric made several changes per our requests almost immediately when we asked. I would highly recommend him for any job, large or small!” – Roberta O. 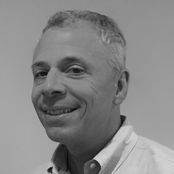 We took a few minutes to talk with Aric (Ric) Gitomer, owner of Aric Gitomer Architect LLC (AGA), to learn a little more about the business and how they managed to build such an impressive online reputation. Ric credits AGA’s strong online reputation to his commitment to maintaining and creating content on his website, to providing good service and asking for reviews and to always ensuring his clients are happy with their results. Outside of building a powerful online reputation, Ric has grown his business by building positive relationships with his clients — which leads to referrals — and by building relationships with contractors, Realtors® and developers. Word of mouth and repeat clients have also been important for growth at AGA. 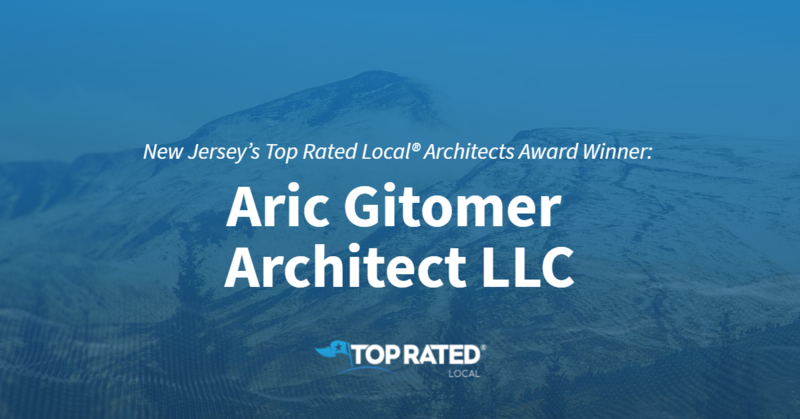 Congratulations to the team at Aric Gitomer Architect LLC for being a 2019 Top Rated Local award winner, and thank you so much, Ric, for taking the time to speak with us! For all of your architecture needs, we highly recommend Aric Gitomer Architect LLC. Visit their website today! Top Rated Local® is pleased to announce that Gaines Group Architects is a 2019 award winner for architects in Virginia! With more than 145 years of combined design knowledge, Gaines Group Architects is the firm to turn to for all of your design needs in Charlottesville and Harrisonburg. Gaines Group Architects has received dozens of reviews on three verified sites with an average rating of 4.89 stars, earning them a stupendous Rating Score™ of 94.89 and a 2019 Top Rated Local award for ranking among the top 10 architecture firms in all of Virginia! “Charles Hendricks is truly passionate about attractive, functional architecture and design that is energy efficient and sustainably built. ‘Green Building’ is not a catch phrase for the Gaines Group. Get to know Charles, and you will find that he lives, eats and breathes what he does. I would recommend consulting Charles Hendricks and the Gaines Group for any of your building or design needs.” – Barry C.
Gaines Group Architects has been in business for 31 years, and they believe that, through design, they can build a better community. Through everything they do, they are focused on their community and on community service, and they support many local events and do a lot of pro bono work. Charles credits Gaines Group Architects’ strong online reputation to the fact that they always do what they say they are going to do. They have also been working hard on their social media presence. Outside of building a powerful online reputation, Gaines Group Architects has grown through community involvement, specifically by sponsoring events, taking on speaking engagements and doing community service. Congratulations to the team at Gaines Group Architects for being a 2019 Top Rated Local award winner, and thank you so much, Charles, for taking the time to speak with us! For all of your design and building needs in Charlottesville and Harrisonburg, we highly recommend Gaines Group Architects. Visit their website today! 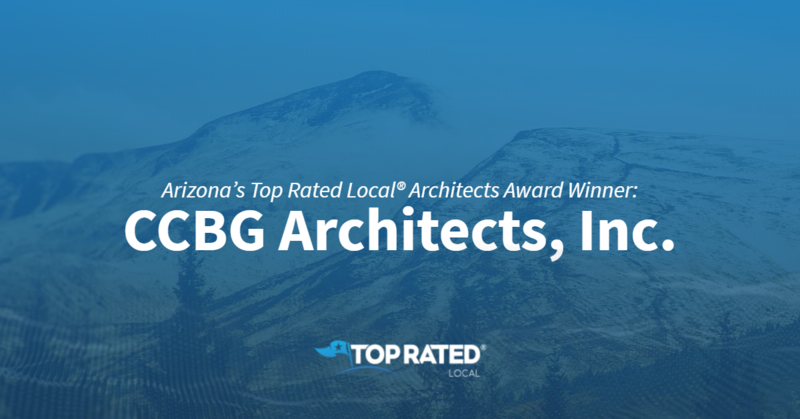 Arizona’s Top Rated Local® Architects Award Winner: CCBG Architects, Inc.
Top Rated Local® is pleased to announce that CCBG Architects, Inc. is a 2018 award winner for architects in Arizona! If you’re looking for a professional architect that’s second to none in Phoenix, look no further than CCBG Architects, Inc.
CCBG Architects, Inc. has received dozens of reviews from four verified sites with an average rating of 4.91 stars, earning them an impressive 98.14 Rating Score™ and a 2018 Top Rated Local award for ranking among the top 10 architects in all of Arizona! “One of the best companies in town for your architecture needs. No matter what kind of project you are planning to build or to renovate, give CCBG Architects a call. Their adaptive reuse planning is especially cool and off the chart.” – Jochen W.
Brian credits CCBG Architects’ strong online reputation to their innovative design and system, and on their focus on the rapid urbanization of portions of the Phoenix area, downtown Phoenix and Scottsdale. Outside of building a powerful online reputation, CCBG Architects has gotten their name out there by being active in community service and infrastructure. They are also involved with multiple boards. Congratulations to the team at CCBG Architects, Inc. for being a 2018 Top Rated Local award winner, and thank you so much, Brian, for taking the time to speak with us! For all of your architectural needs in Phoenix, we highly recommend working with the talented team at CCBG Architects, Inc. Visit their website today! 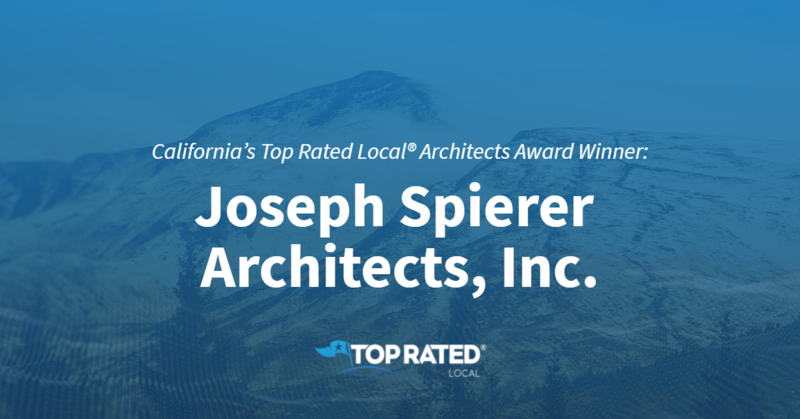 California’s Top Rated Local® Architects Award Winner: Joseph Spierer Architects, Inc.
Top Rated Local® is pleased to announce that Joseph Spierer Architects, Inc. is a 2018 award winner for architects in California! Whether you’re looking to build the home of your dreams or the perfect new space for your business, there’s no better architecture firm to turn to than Joseph Spierer Architects, Inc. in Redondo Beach. Joseph Spierer Architects, Inc. has received dozens of reviews from four verified sites with an average rating of 5.00 stars, earning them a fabulous Rating Score™ of 94.05 and a 2018 Top Rated Local award for being ranked the number one architecture firm in all of California! “Joe Spierer is fantastic. I have contracted JSA on projects, from ground-up luxury homes in Manhattan Beach to daycare centers in Los Angeles. They have exceeded expectations every time. Joe has the highest level of service around. We refer clients to JSA regularly, and they are equally as satisfied. At times, JSA will be more expensive upfront due to their honest and transparent approach; however, it is justified, as they will surely save you loads more money and time throughout your project. Hire Joe and his talented team!” – Richard H.
The team at Joseph Spierer Architects creates great architecture. Their clients turn to them for their design expertise and because they want an end result that’s exciting from both an architectural perspective and a personal perspective. Joseph credits his business’ strong online reputation to his team’s commitment to great customer service. When they meet with a client, they put away their ego and really listen to what the client has to say. They also go over past designs and really try to hone in on what defines the client. This extensive interview takes place long before pencil is ever put to paper, and it’s only the beginning of the constant contact Joseph Spierer Architects provides throughout the entirety of the project to ensure that their clients’ expectations are always met. Congratulations to the team at Joseph Spierer Architects, Inc. for being a 2018 Top Rated Local award winner, and thank you so much, Joseph, for taking the time to speak with us! For all of your architectural needs, we highly recommend working with the experts at Joseph Spierer Architects, Inc. Visit them online today to learn more.